Dusk Moon - Many people forget that the moon is not just a nighttime feature, but is visible at many times during the day. When this picture was taken, the sun had just set and the moon had risen not too long before (at least an hour before). 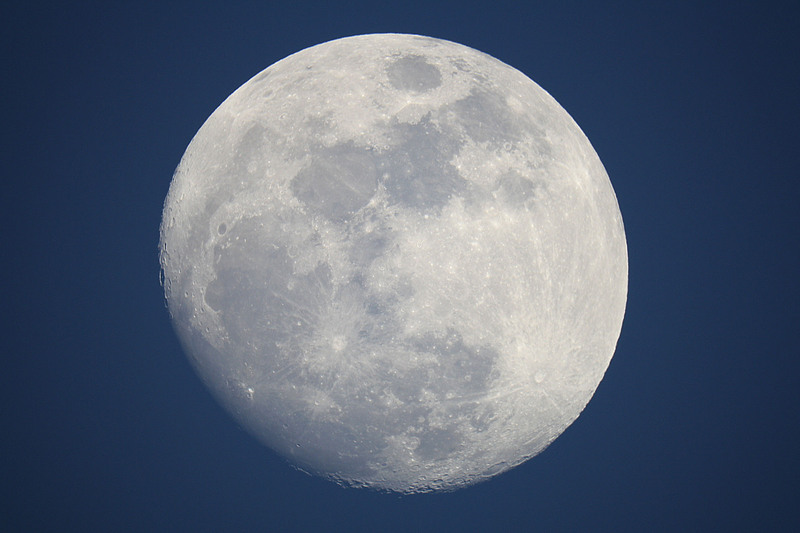 I chose to photograph the moon during this period of time because a daytime moon (i.e. when the Sun is still up) appears washed out and less contrasted against the background sky. Here, the moon appears against a blue sky as it would during the day, but it is better contrasted and clearer against the background.